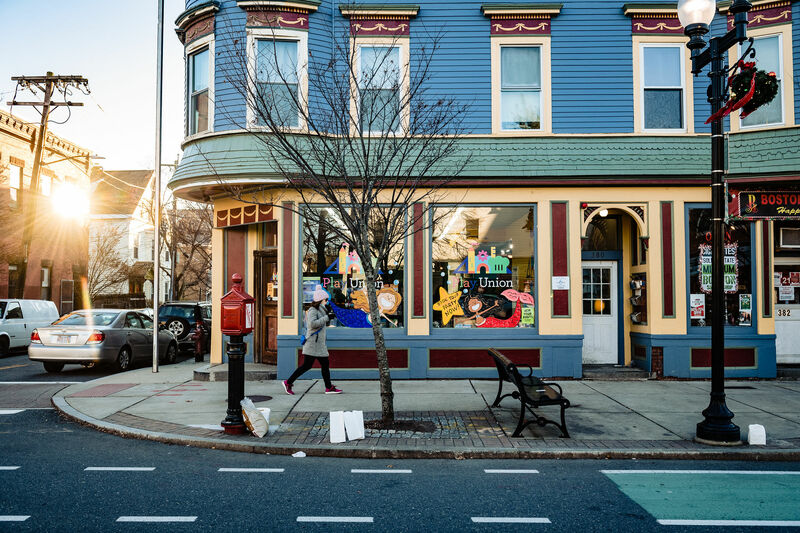 LOCUS has provided technical assistance to Massachusetts communities, including Union Square in Somerville, to implement smart growth planning practices. Photo by Kristin Chalmers Photography. Today, LOCUS and Smart Growth America are launching the 2019 Massachusetts Opportunity Zones Academy, a five-month technical assistance program, with the goal of building the capacity of three to five Massachusetts communities to leverage their designation as Opportunity Zones. Since the Opportunity Zones tax incentive was created last year, LOCUS and Smart Growth America have been on a mission to ensure it will help disadvantaged communities grow into more socially equitable, economically prosperous, and environmentally sustainable neighborhoods. Without careful, intentional planning there is a real danger that the Opportunity Zone incentive could result in more sprawling, car-dependent communities that exacerbate climate change and inequality. The insights we have gained while studying the potential impacts of the incentive and talking to stakeholders on the ground are now the guiding principles of the inaugural Opportunity Zones Academy. 1. No two Opportunity Zones are alike. 8,700 census tracts in the U.S. were designated as Opportunity Zones, including 138 in Massachusetts, ranging from dense urban cores, to sprawling suburbs and agricultural hubs. It’s not surprising that a zone in South Boston has different priorities than one in the Pioneer Valley. Recognizing that every community has unique needs and assets means taking a more tailored–and more effective–approach to the influx of private investment triggered by Opportunity Zones. 2. Opportunity Zones are not a silver bullet. The Opportunity Zones tax incentive has the potential to unleash billions of dollars in capital. Without direction from local governments, there is no guarantee that this investment will lead to equitable outcomes. Drawing on the diverse wealth of knowledge of Smart Growth America and the LOCUS Massachusetts Steering Committee, the Opportunity Zones Academy will build local capacity to guide Opportunity Zone investment in a way that meets community-driven priorities, whether they be implementing a Complete Streets policy or updating zoning to unleash place-based economic development. We know that communities who are proactive in identifying their goals and creating frameworks to direct Opportunity Zone investment will be more likely to achieve positive outcomes for all people who live, work, and play in their neighborhoods. Through a combination of site visits, virtual and in-person learning opportunities, and an individualized report with recommendations, Smart Growth America and the LOCUS Massachusetts Steering Committee will support Opportunity Zones Academy participants to ensure that they are prepared to make the most of the federal Opportunity Zones tax incentive. Learn more about the Massachusetts Opportunity Zones Academy here and attend the 2019 Massachusetts Opportunity Zones Academy: What you need to know webinar on Monday, April 15, 2019. Applications are due Friday, May 3, 2019. We are excited to work with your community.